I found a few exciting treasures to bring home. 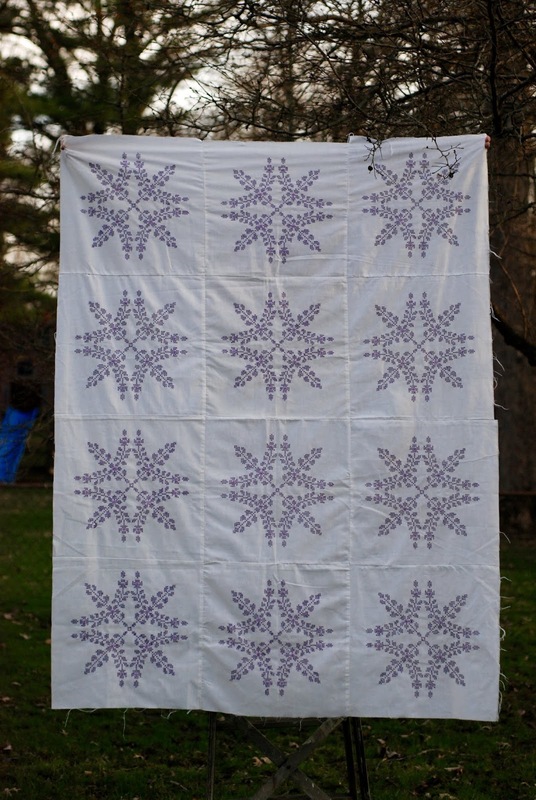 The first one is a top that I will quilt. but also some quite older fabrics. and had to add some current fabrics to finish it up. 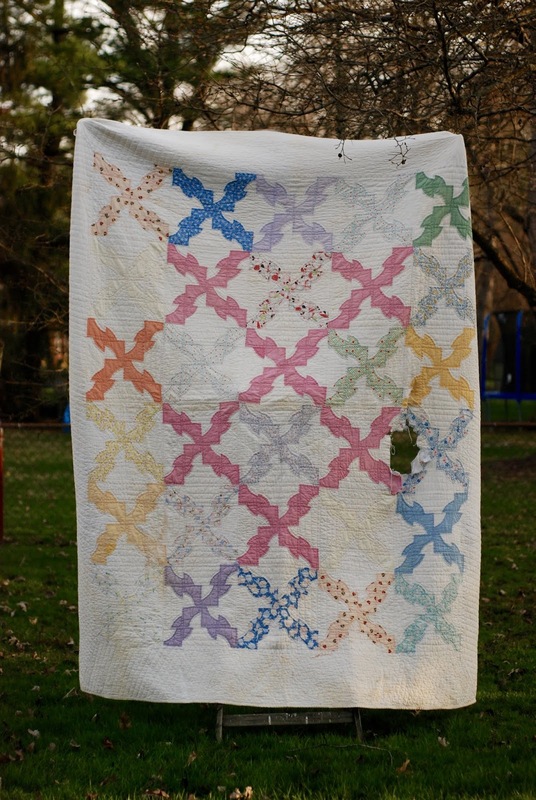 I will be the one to finish it as a complete quilt. 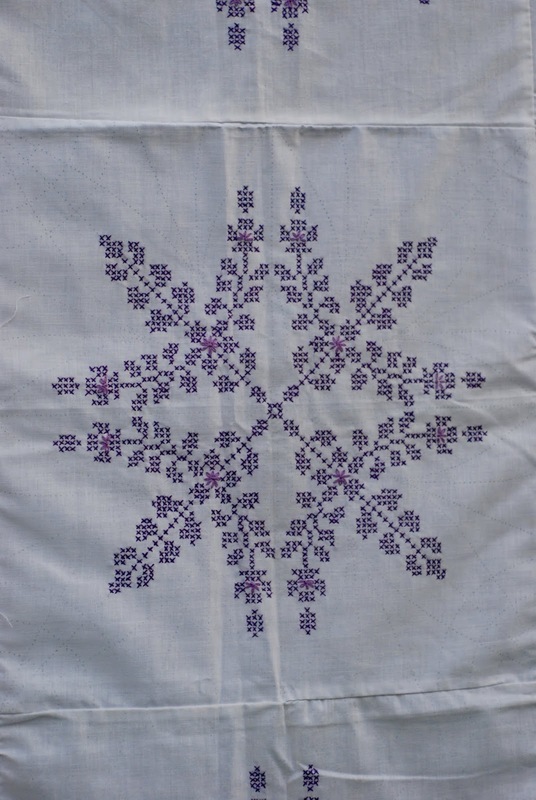 This next one is also a top in need of quilting. 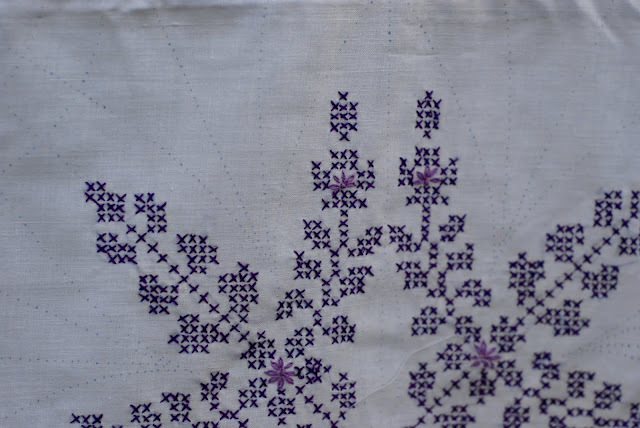 It is cross stitch on preprinted blocks. It also has the quilting lines preprinted on it. it would not have occurred to me to grab this one. 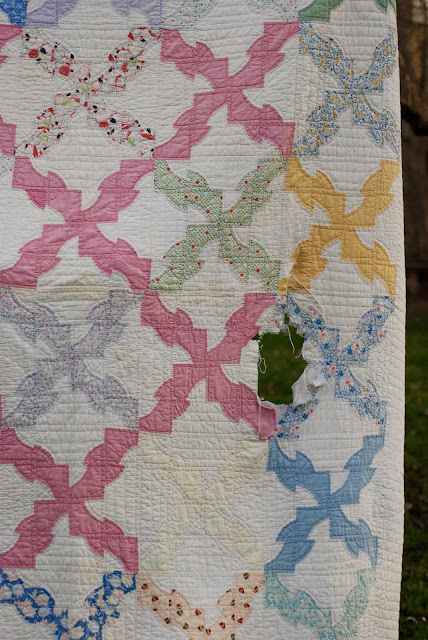 I think it will make a sweet little quilt when done. The last of the three I have featured on my 365 day blog. 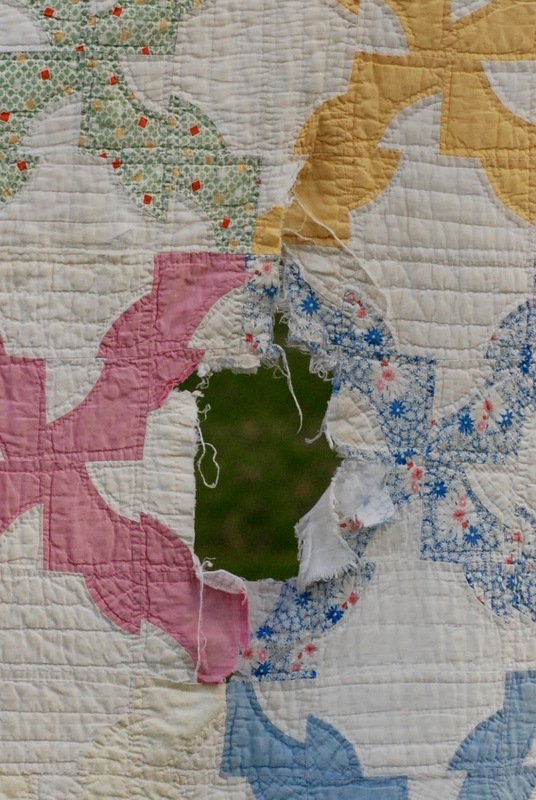 It is a complete quilt with the exception of the quite large and noticeable hole in it. The damage is really mostly in the background fabric. 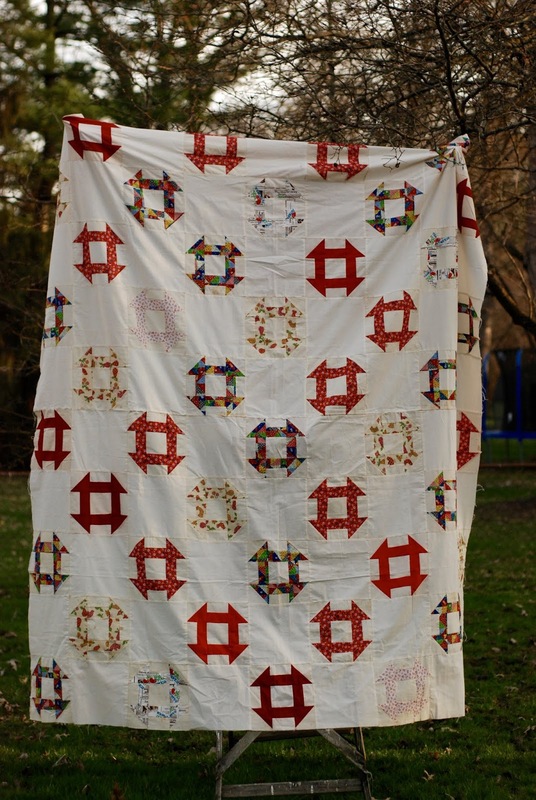 and add some hand quilting to match what is there. The preprinted quilt with embroidery reminds me of my grandmother who made a tablecloth for each of us using this method.